You can help keep this wonderful tradition of caring alive at Villa Siena. Every year, a percentage of residents find their financial assets are becoming exhausted. The worry of financial pressures should not be part of the day for our elderly residents. Your contribution will help ease that burden. To donate a vehicle, please visit our Vehicle Donation Page. Secured transactions can be made through Paypal. Sponsor an engraved brick in the new Villa Siena courtyard. Inscribe it with wording of your choice in honor or in memory of a loved one. 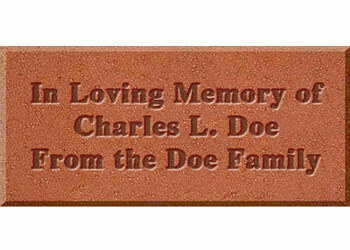 These engraved bricks will be prominently displayed between the historical house and the St. Louise Chapel. 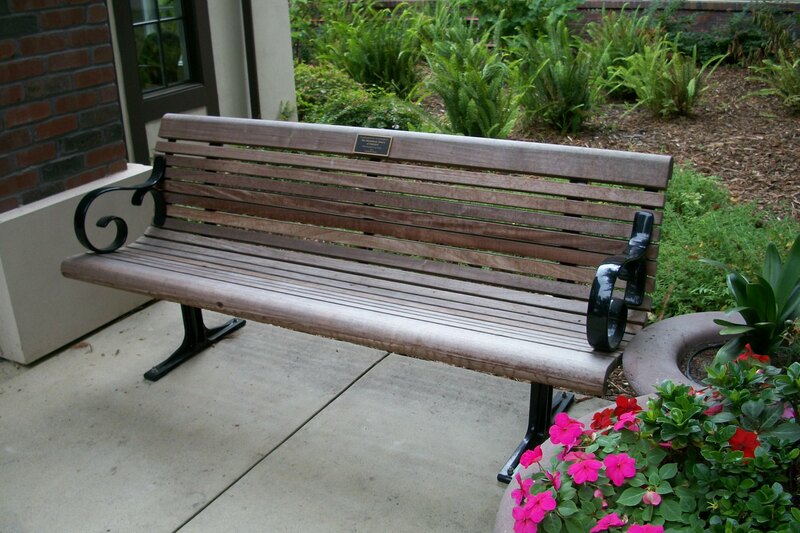 Sponsor a bench in a lovely location of the new Villa Siena facility. Honor or memorialize a loved one with an inscribed plate with words of your choice. Sponsorship costs range from $7,500 to $10,000, and are paid over time. Donate your down payment of $1,000 now, and we can set up a payment plan that spreads out from 1 to 5 years. Different bench locations have different prices. How would you like to be billed for the remainder of your balance? No PayPal account is required to make a donation! Life Income gift, such as a Charitable Gift Annuity (CGA) or Charitable Remainder Trust (CRT). Villa Siena Foundation partners with Silicon Valley Community Foundation in providing support to donors in arranging these types of gifts. These gifts have tax benefits. Contact the Foundation Office for more information. A Charitable Gift Annuity (CGA) is a contract in which you receive a fixed sum each year for life in exchange for your gift. Minimum gift: $25,000. A Charitable Remainder Trust (CRT) is a trust that pays a fixed amount each year to you for life, or a term of years, with the remainder going to Villa Siena Foundation. Minimum gift: $250,000. 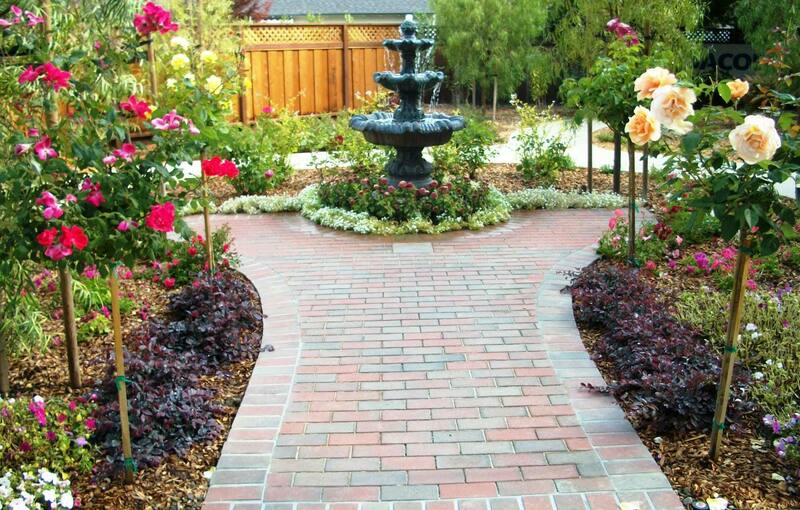 Have you arranged for a planned gift, or intend to make a planned gift, for Villa Siena? If so, thanks for letting us know by downloading and completing the confidential “Statement of Intent” form and sending it to us. Charitable gifts are an important way to make a difference in our world. Your gifts are a very real reflection of your beliefs, values and concerns. If you share our values of respect and dignity for the elderly, please consider making a significant gift to the Villa Siena Foundation. Gifts to the Villa Siena Foundation ensure that our frail elderly residents can stay in their home at Villa Siena even if they have exhausted their financial resources. Your contribution will make the difference. There are many ways to contribute to Villa Siena, and to maximize your charitable dollar. Villa Siena Foundation supporters making planned gifts (wills, trusts, & other estate gifts). Villa Siena Foundation supporters contributing annually $1,000 or more.